« Last Shop Standing 6th edition‏ – What has changed for Avalanche since the book came out in 2009 ? Does HMV and FOPP really make that much difference ? 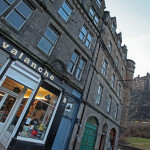 We’ve spent over 25 years competing with shops bigger than Avalanche, in better locations and with more money and better deals. Not a problem. What we can’t compete with is a model based on “we’re so fucked we can’t afford to pay a fair/any rent” and “we have no idea what will sell and how many so just give us the stock and we’ll pay for it when we sell it”. It is obvious how much time you spend supporting local Scottish Bands can’t Creative Scotland help ? I was originally told it was difficult helping businesses. When I pointed out they gave money to recording studios to help young and not so young bands I was told it helped both the bands and kept the studios in business !!! Many young bands have come to me asking for advice having had “one shot” recording in a studio and with just a couple of tracks to show for it. Often they weren’t particularly happy with them. It seems to me to make far more sense to help young bands in particular use home recording equipment giving them time to develop. I suggested that shops in the UK could be given a small grant to dedicate space to and promote Scottish music. I was told there was no “box” this ticked and they would have to make a special plea for money for such an idea. Clearly spending a huge amount of money sending a few bands (often more than once) to SXSW is considered better value than having the UK’s leading record shops promoting Scottish music 360+ days a year. You have so much great stuff is it really that quiet during the week ? Yes it is. Sometimes scarily so. Saturdays are normally busy and possibly Sundays too but people just don’t seem to shop during the week. I appreciate that those who come in on a Saturday and see a bustling shop full of kids, regulars and visitors wonder what the problem is. There are other businesses it would be perfect for. Just not us unfortunately. I really wish I could say but things have got more complicated over time when I expected them to simplify. Our leaving has generated more options than i stared with and some opportunities have occurred completely coincidentally. Will you be open on Record Store Day ? Definitely. Some plans will take longer than others but we will be open on Record Store Day. Without doubt I could have made more money just sitting at home this year with the exception of the week the Mogwai album came out. The future will have to utilise all sales platforms and sensibly allocate time accordingly !!! Our location will need to play to our strengths. Do I know what the shop will be yet ? No but one option sounds amazing and I’ll be happy if it comes off as it will in a way continue my vision for the place but not in a way you would expect. More questions answered as I have time.